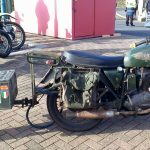 Failing to get out of bed early, we skipped the outside auto-jumble; with no projects bikes on the go, we weren’t after any hard to find parts, though there was clearly lots to rummage through. 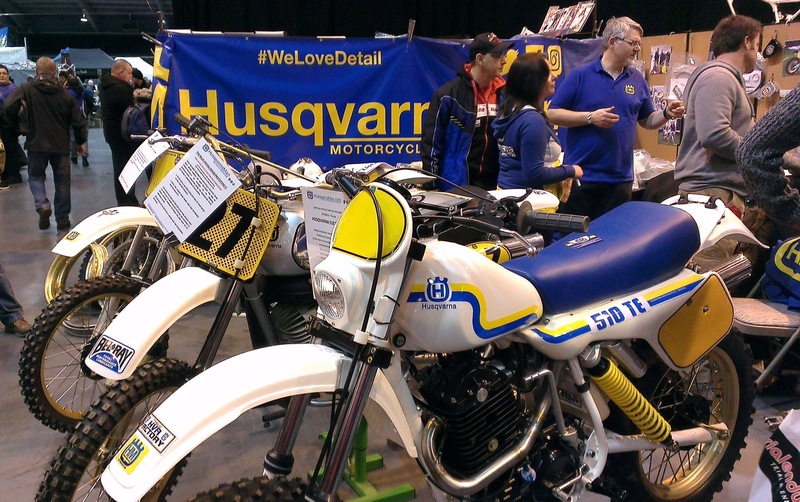 The show itself was spread over three large halls with loads to see. 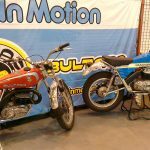 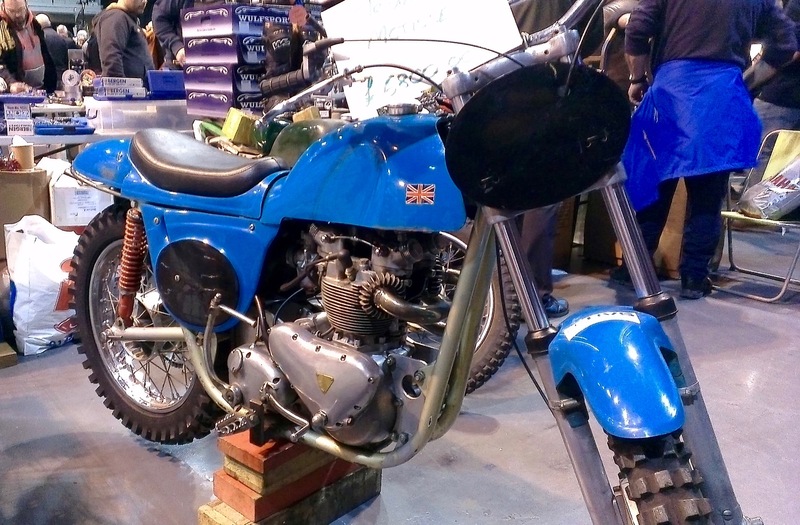 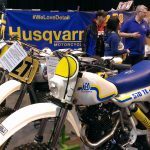 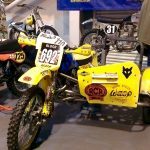 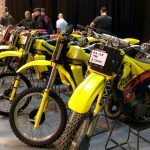 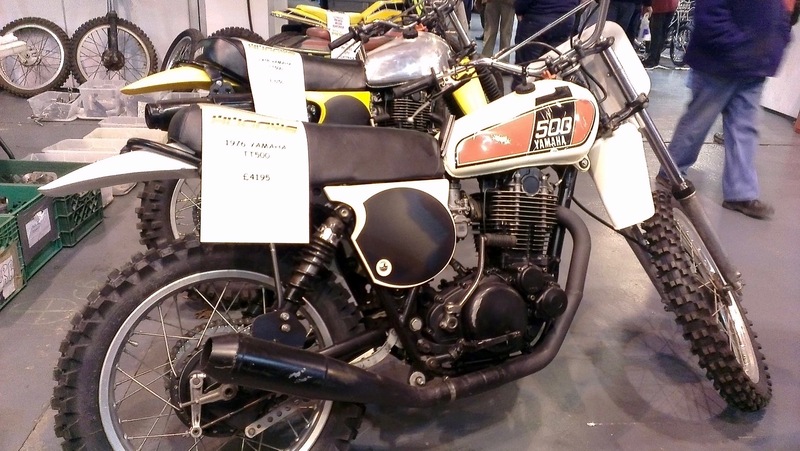 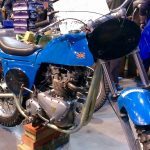 A big mix of stalls from specialist dirt bike retailers, off-road clubs, plenty of bike dealers, tonnes of second hand bike bargains and many tantalising classics, and many more auto jumble stalls too. 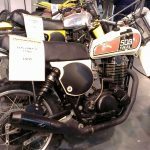 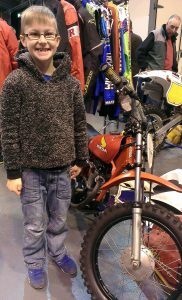 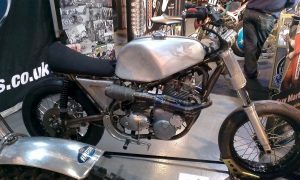 Although there was lots of stuff to check out and plenty of bikes on sale to tempt, there was a distinct lack of entertainment. 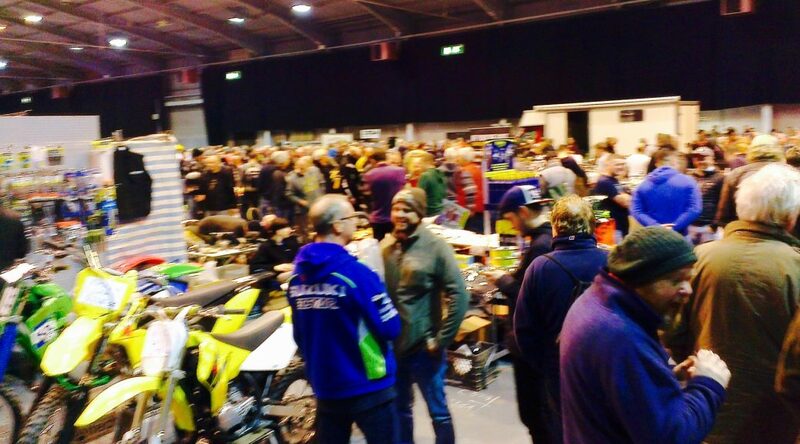 Beyond some talks from a few biking celebs there was little else. 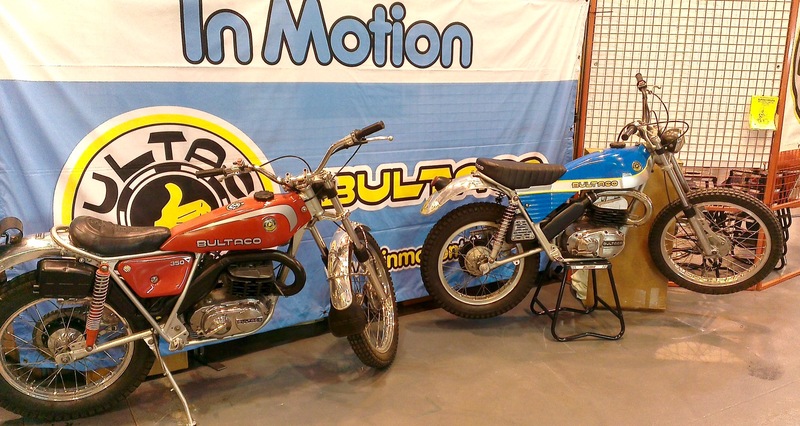 Some stunt riders or trial action would have lightened things up. 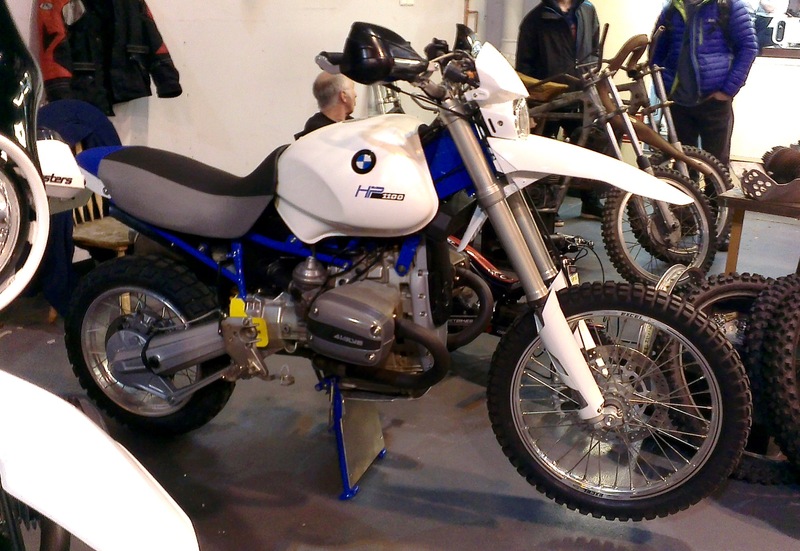 Similarly, I was a little surprised by the lack of big name manufacturers. 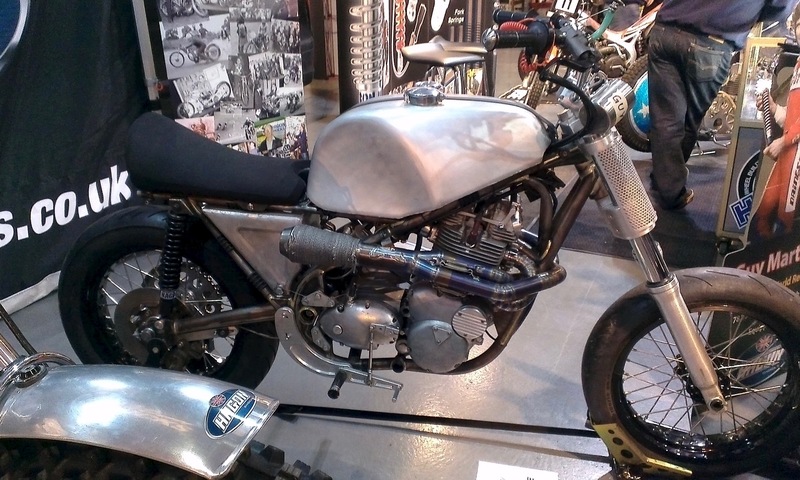 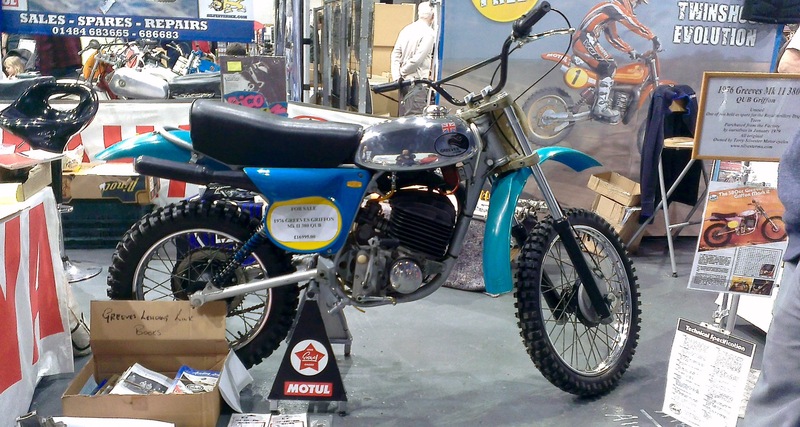 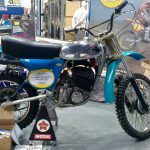 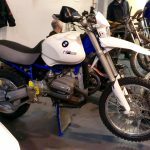 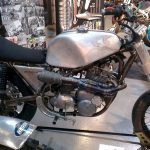 But then, I guess this is a classic dirt bike show… and all the new stuff was on show down at the London Motorcycle Show running the same weekend. 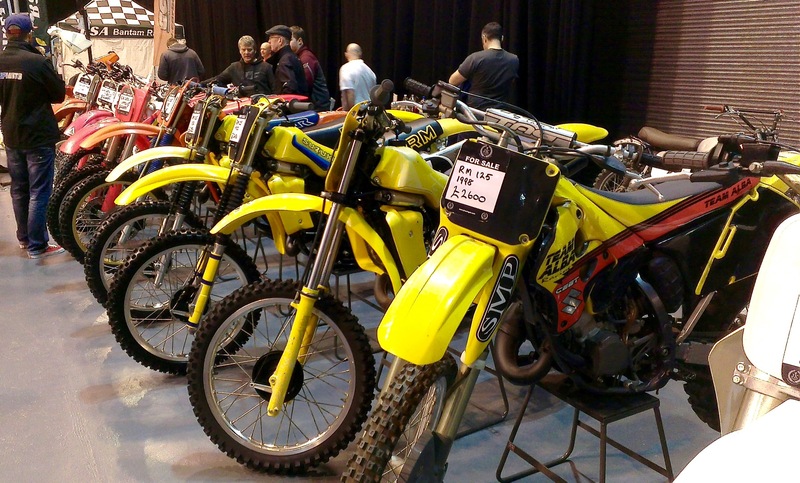 There were however a few new Beta trials bikes. 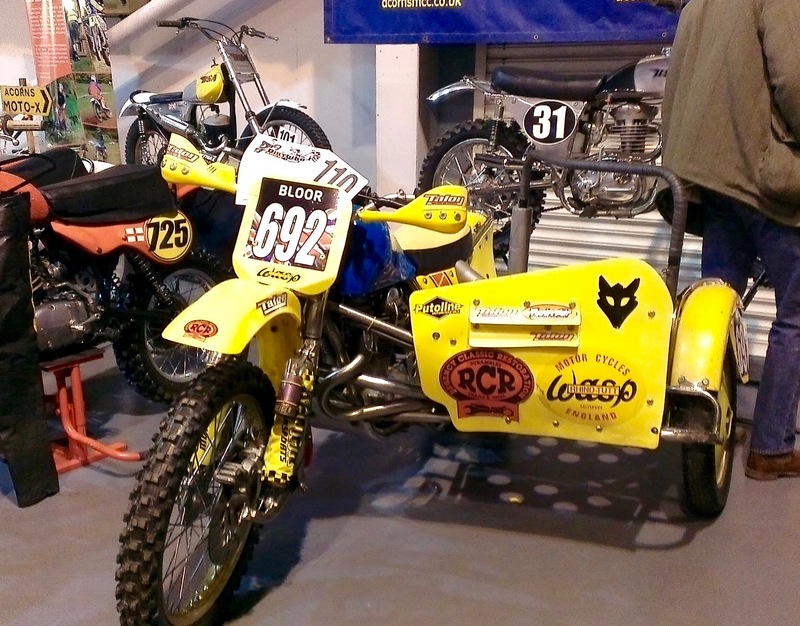 One highlight, was checking out the bike Guy Martin did his wall of death record on (shown above).